Attendance can be logged by camp staff each day through the Attendance Dashboard and is designed with an iPad interface for easy mobile use. 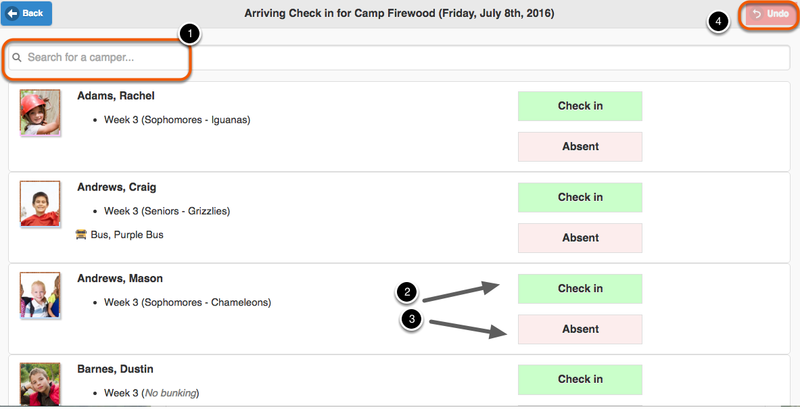 On the Attendance Dashboard, select Attendance logging (staff-driven). If your camp's settings require Authorized Pickups to be selected for the camper's transportation method and direction, choose the appropriate adult for the check-in/checkout. Once a camper has been logged, they will be removed from the list. 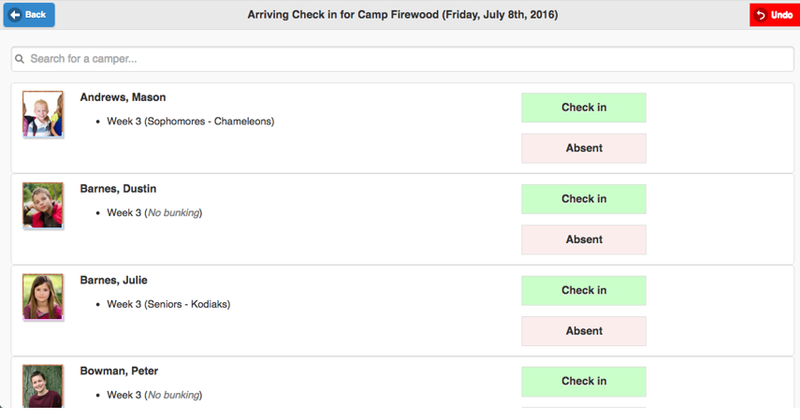 If a camper is marked absent for an arrival, they will not be available for checkout on the corresponding departure.